Howard High won its first state baseball title last spring, and now with all of the key players returning from that historic team, the Lions are No. 1 in the VSN’s Top 20 rankings going into the 2019 season. That too is a first. Finishing 20-5 overall in 2018 with the Class 4A state crown, Lions coach Nick Hoffner welcomes back arguably the best 1-2 pitching duo in the metro area high school scene in Howard County Pitcher of the Year Gabe Delgado and Brendan Foster. Delgado and Foster have been named to the Maryland State Association of Baseball Coaches (MSABC) Preseason All-State Team and their return along with a host of others including DH-outfielder Ryan Kulick, the Lions’ leading hitter who singled in the tying and winning runs in the bottom of the 7th inning with two outs to give Howard their first state title, a 5-4 victory over Severna Park at Ripken Stadium. The No. 1 ranking for Howard highlights this year’s preseason ranking along with seven ranked teams coming from the MIAA A Conference and six from Anne Arundel County. The A Conference starts the season with five of their teams in the Top 10 to lead the area. Archbishop Spalding is the highest ranked of the MIAA teams at No. 2, coming off a somewhat down season for the Cavaliers. No. 15 Gilman School and co-No. 20 Mount St. Joseph are the sixth and seventh teams, respectively, from the MIAA, following Spalding, No. 4 John Carroll School, No. 6 Calvert Hall College, defending champion and No. 8 Archbishop Curley and No. 9 Loyola Blakefield. Representation in the poll by the A Conference is common place, but had not been so in Anne Arundel County where only three teams were ranked in the 2018 preseason poll and the same three – No. 3 Severna Park, No. 6 Arundel and No. 12 Chesapeake-Anne Arundel – in the final poll. Those three are back, but No. 10 North County, No. 13 Broadneck and No. 17 Old Mill have joined the trio. The increase in Anne Arundel teams signals that a competitively deep league has emerged in 2019. Pictured above: Ryan Kulick (front), Brendan Foster and Gabe Delgado headline the returning starters for defending Class 4A state champion Howard. The Lions are No. 1 in VSN’s Baseball Preseason Top 20 poll. 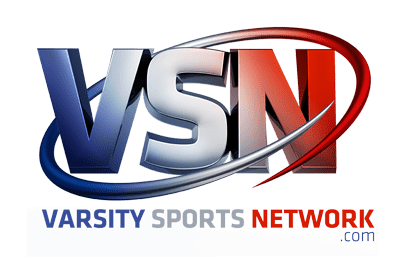 The VSN Baseball Top 20 is compiled by veteran high school baseball writer and historian Pat O’Malley. He welcomes input from coaches on the poll. He can be reached at 410-647-2499 or patomalleysports@aol.com. Forecast: Usually when a public school team wins a state championship, the following season is a rebuilding one, but not for Howard. The Lions return their entire pitching staff and nearly all of their key players and start 2019 with their initial No. 1 ranking. “We have a lot back, but we need some guys in new positions to step up if we are to be successful,” said Hoffner, who only graduated shortstop Craig Wiley from last spring’s title squad. Delgado (UMBC), the 2018 Howard County Pitcher of the Year, was 5-2 with a 1.92 ERA and 73 K’s in just 47.1 innings pitched. The crafty righthander also batted .339 with 13 RBI and is MaxPreps’ pre-season No. 1 player in Maryland. Delgado is joined on the Maryland State Association of Baseball Coaches (MSABC) Preseason All-State Team by Foster (Salisbury University), who is a repeat Preseason All-State. He was 3-2 last spring with a 2.91 ERA and 58 K’s in 33.2 innings, giving him a 9-3 record with 100 K’s in 70.1 innings over the last two seasons. Kulick (York College), who delivered the winning hit in the bottom of the 7th in last spring’s 4A state final, returns as the Lions’ leading hitter (.439 with 27 RBI). Jakubek (York) went 5-0 with an 0.62 ERA last spring. O’Neill batted .370 last spring while Campbell batted .351 with 21 RBI as a sophomore second baseman who’ll make a key move to shortstop in 2019. Forecast: The Cavaliers started the 2018 campaign at their accustomed high ranking, No. 2 (usually 1 to 3 in the rankings), but sputtered at mid-season and ended up losing a rare 13 games. Spalding was A Conference runner-up in 2017 after winning three consecutive titles. They appear to be ready to return to their lofty status as an A Conference contender with a talented group of underclassmen, several of whom have already committed to play at the next level. The lefthand hitting Moylan (East Carolina), an MSABC preseason All-State, leads the way after batting .341 with 27 RBI, and pitchers Powers (Navy commit; 5-2 last spring) , Vermillion (4-1) and McCormick (Liberty; 2-1), are all juniors. Senior shortstop and relief pitcher Caesar (UMBC) is being counted on for leadership in his fourth and final varsity season. Mrotek, a sophomore transfer, has already verbally committed to Maryland. Forecast: Young and Buckheit are ready to step up and fill the void of losing 2017 VSN Player of the Year Joe Seidler (Radford) who was 25-5 as a pitcher in three seasons. The Cougars failed in their bid for a third straight appearance in the 3A final last spring, dropping a 1-0 decision to Huntingtown of Calvert County. Buckheit, a 6-foot, 190-pounder who is the son of former Northeast pitcher Charlie Buckheit (holds Anne Arundel County career record of 30-3 from 1988 to 1991), tied Seidler for wins last spring going 6-2 with a 1.90 ERA. Young (Chesapeake CC), who led the Cougars’ football team to the 3A state playoffs in the fall, was 2-3 as a starter and reliever and batted .431 with 16 RBI’s and 13 runs last spring spring. Spangler, a Division I prospect as a football punter, batted .419, while Shadle batted .375 with 19 RBI. The Cougars don’t usually score a lot of runs relying on pitching and defense and the bunt, but this year’s edition may be potent at times with Young, Spangler and Shadle in the middle of the order. It appears that John Carroll has a strong returning nucleus including nine seniors to keep the team’s status of residence among the elite alive. VSN predicted in the 2018 preseason Top 20 that the Pats would be “the sleeper in the MIAA A Conference” and they were. Last season was the first time the Patriots made the Top 10 (finished No. 5) with VSN Offensive Player of the Year, 3B-P Ryan Archibald (now playing at Arizona) leading the team to its highest ever ranking, including several weeks at No. 1. Bittersdorf (Harford CC) who batted .357 with 23 RBI and six outfield assists and C. Milton Wright junior transfer Leach, who hit .443 with 2 homers and 14 RBI are MSABC Preseason All-State selections making John Carroll one of four schools with more than one. Siler is also high on Rodriguez (.348 and .456 OBP), Stakias (.327, 16 RBI) and hurlers Pika (1.91 ERA) and Tipton (2.56 ERA). Forecast: With MSABC Preseason All-State Frederick in the middle, the Lions have gone 51-11 over the last three years, winning two Baltimore County championships. The Radford commit batted .478 with four dingers and 22 RBI in 2018. Frederick boasts a career .414 average, 82 hits (20 short of school career record), 50 RBI, 58 runs, 17 doubles, 3 triples and four HR’s. He will be the catalyst for another solid Dulaney season. “It’s going to be a season long process of player development with only two returning starters, but we should be at the top of the County and the 4A North,” said Wolfsheimer. Dulaney has won three of the last four County championships. Sophomore Mozoki is the other returning starter after a very productive freshman campaign, at 6-1 with a 2.65 ERA on the bump and batted .310 with 4 doubles, 3 triples, a dinger and 18 RBI. Forecast: The Hall is the only school with three MSABC Preseason All-State players in Torres (North Carolina State), Landwehr (Boston College) and McIlhenney (Misericordia) and that trio and a host of other returnees should return the Redbirds to the upper class of the MIAA. The Hall will score runs with the likes of four-year varsity player Torres (.472, 6 HRs and 27 RBI), Landwehr (.375) and speedy lead-off batter McIlhenney (.447). Torres, a pro prospect, is rated the state’s No. 1 player ranked by Perfect Game. He will also do some pitching. The lefty Marchineck and Barranca can swing the bat well. The question mark for the Cardinals is their pitching staff. The 6-foot-4, 215-pound Marchineck might emerge as the ace. Senior right-handers Grant Duemmel and Brady Power will also get a good look on the hill. Forecast: After banner season, VSN Player of the Year Paul Nixon (9-2, 2.41 ERA; .412, 10 HR’s, 43 RBI last spring) along with his All-Metro battery-mate Trent Gast-Woodard (6 HRs, 21 RBI; threw out 12 runners attempting to steal) and four other starters are gone, but the optimism remains high. Virginia Commonwealth-bound Locklear gives Norris the senior leadership that will be desperately needed to weather the storm that accompanies a most wanted team such as the Friars, who won it all in 2018. “We lost a lot to graduation including Paul (Nixon), but we have a lot of talent, enough to make the playoffs, coming up from the JV,” said Norris, last spring’s VSN Coach of the Year who had pitched and batted the Friars to their last MIAA A Conference crown in 2001. The 6-3, 215-pound MSABC Preseason All-State Locklear, who has whacked 16 homers over the last two seasons, including 10 last year to go with 35 RBI and scored 39 runs on a .355 batting clip, should be fun to watch. Nale was 4-0 with a 3.97 ERA in 2018 while Michel is new to the varsity. Forecast: The 2017 MIAA A Conference champions still have two key members from that historic team that won the school’s first baseball title since 1946, in Wyatt and Dinoto. The veteran pair makes the Dons one of four teams with more than one player on the MSABC Preseason All-State team. Wyatt (Virginia) was 7-2 with a 2.90 ERA last season while Dinoto (West Point), who will anchor the Dons’ infield and is the team’s lead-off batter, hit .386 with 8 doubles, two triples, a homer and a .458 on-base pct. Coach Kelly says it all comes down to the name of the game – pitching. “We will go as far as our pitching takes us,” said the Dons coach who expects Wyatt to be the ace and pitch the big games, but needs the likes of senior right-handers in Mumma (Penn State-Harrisburg), Snider and Giagola and junior transfer Beal to step up. Reynolds (Swarthmore) will catch the staff in Kelly’s third season. Forecast: After winning the very competitive Howard County title (12-3) last spring, the Mustangs were upset by LaPlata in the region final and denied their first state Final Four berth in 10 years. Olsufka was named Howard County Player of the Year after an incredible season (8-2, 1.45 ERA; batted .412 with 14 doubles, two triples, 3 dingers and 17 RBI). Osulfka, who’s not committed to a college, has been All-Howard County the last two seasons and MSABC Preseason All-State this year. Eckert needs to get other quality pitching from Lee, Ross and Vandenberge in order to contend in Howard County and beyond. “We hope to get better as the season goes on,” said the coach who lost six players (three starters) to graduation. Forecast: In his 15th year, Feuerherd might have the best team in his tenure. Murphy, an All-Anne Arundel County pitcher after going 5-1 with an 0.88 ERA, returns as the ace of the Knights’ staff. A pair of lefties in Lowman and Paugh along with Anrzejewski will complement Murphy on the pitching staff. Gibson and Biddinger form a solid keystone combo for the Knights and will support defensively the deep staff. If the Knights can produce ample offense, they will be in the thick of things in Anne Arundel and 4A East Region. This spring, Swanson is hoping his Cats can have a “special” season with a very good nucleus highlighted by a trio of senior pitchers in Shimming, Rohlfing and Stocum. The Harford County school was upset by Towson in the North final last spring. The returning trio expects to give Bel Air a shot at repeating as UCBAC Chesapeake champs (11-1 in 2018). Fino returns behind the plate and key newcomers expected to contribute are junior infielders Caden Morris and Sean Conway. Bel Air has won two state championships under Swanson, the 3A in 2013 and 4A in 2016. Forecast: Coming off a heartbreaking loss to Howard in the Class 4A State championship game, the Falcons will be young and looking to fill a lot of holes due to graduation. The Anne Arundel County power graduated all nine starters including record-setting 3B-RHP and four-year starter Kody Milton (Maryland) and ace hurler Cam Clark (Towson). Milton begins his seventh season counting heavily on Lewis, who was 5-2 as a sophomore showing a lot of potential. Fellow junior Simonds, the big left-hand hitting 1B, batted .345 with two dingers and 17 RBI in the cleanup spot as a 10th grader. The Falcons are high on newcomer Merrill. Forecast: After starting five sophomores and three juniors in 2018 and the entire pitching staff returning this spring, you could say the Bruins have been battle tested and primed for a big season in Anne Arundel. “We expect to hit well and if we play strong defense for our strong pitching, we will challenge in the county and 4A East,” said Skrenchuk, expressing his optimism about the upcoming season. Smith, who will pitch at Chesapeake CC in 2020, was the ace last year going 5-2 with a 2.12 ERA and the 6-4, 195-pound Gatton (Stevenson) should be the No. 2. Stolarczyk was 3-0 with three saves as a reliever. First baseman Isaac, a second team All-Anne Arundel County selection along with Smith, batted .340 with three homers and 17 RBI. Skrenchuk, in his third season (22-21) in Cape St. Claire, led the Bruins to a 12-10 record in his debut season in 2017, and has several opposing coaches in Anne Arundel impressed with his team’s promise heading into 2019. Forecast: The Huskies are going to be a young team after graduating a large group of 3-to-4 year varsity players, including ace RHP Austin Koehn who set the school record for career wins (21) and is now at UNC-Greensboro. Patterson Mill returns four seniors and four juniors. Santoro, who will bat fourth or fifth in the lineup, and Shertzer has the ability to be “one of the best position players in the program,” at shortstop. Vujanic started at 1B as a 10th grader and is another key returnee in the Huskies’ hopes of keeping the winning tradition going at the smallest school in the UCBAC Chesapeake. Forecast: Huebeck, an early Wake Forest commit, is the ace of a very young team dominated by sophomores and juniors. Last spring Huebeck went 4-4 as a freshman and played a key role in the Hounds’ run in the MIAA A Conference tournament. Sheets, the former Baltimore Oriole outfielder, has been impressed with Huebeck’s poise on the bump and is counting on big things from him as the team develops. Other key returnees for Gilman are Bennett, who batted .357 after missing much of last season with an injury and Gonzalez, who batted. 316 with five dingers and 22 RBI. Gilman has been unpredictable team (84-61 last five seasons). Sheets, in his 10th season, occasionally uses a pitching by committee scheme that’s produced positive results. Forecast: Culley is excited about his junior dominated team that boasts four experienced pitchers who are expected to make the Vikings a factor in the always tough Howard County League. “We expect to be good and compete for the county championship this season,” said the veteran coach Culley, whose teams always seem to be in the mix. Hebron lost, 1-0, to Reservoir in a tough 3A East Region semifinal match last spring. Culley has “four outstanding junior pitchers” in Jaecksch (second team All-Howard County last spring), Dunn, Fitzpatrick and Holzman. The four will also play other positions when not pitching and are expected to contribute offensively. Forecast: The Patriots nearly pulled off the upset of the year in the Anne Arundel County, losing 13-12 in 8 innings in 4A East eventual state finalist Severna Park in the East Region quarterinals. Old Mill has all but two players back this spring and things are looking up for coach Chaffin and his team. Cinquanto, an All-County pick, is back to lead the senior-dominated team. Cinquanto batted .419 with 26 runs, 17 RBI and 16 stolen bases. Adams batted .364 and stole 25 bases and Parish hit .344. Summers returns after going 5-0 with a 2.83 ERA ready to lead the staff. Old Mill is going to be in the mix for a run in the Anne Arundel County and 4A East races. Forecast: Romaine, who is an MSABC Preseason All-State selection at pitcher, was 5-1 with a 1.40 ERA and has gone 17-3 in his three-year career and is expected to lead a very young team. Sweet and Elliott need to step up and give Romaine some help with the all important pitching load. Forecast: The perennial Anne Arundel contender Wildcats are going to be thin on experience, but Hood is looking for development and growth as the season wears on. Hood is counting on his returning leading hitter in three-year starter Stanard (.373, 4 doubles, 3 triples and a homer) and Aristy (.315, 4 doubles, 2 homers and 21 RBI) to lead on and off the diamond. Two returning junior hurlers in Ownby (5-1, 2.25 ERA) and Wert (3-1, 3.50 ERA) should make the Cats very competitive in what is expected to be a deep and talented Anne Arundel league. Forecast: Warm expects the Comets to be very competitive in Baltimore County and beyond. Catonsville lost to eventual Class 4A state champion Howard last season in the North Region playoffs, and the Comets return a pretty good nucleus, especially in the pitching department with the lanky 6-5, 185-pound Jones and bulky 6-0, 245-pound Brown (2-0, 1 save, 0.64 ERA) and Eiswert. As a freshman, Eiswert batted .448 and scored 19 runs. The promising 6-2, 175-pound athlete may get more time on the bump this spring. Brick, who is a 6-4, 235 pounder, has a lot of pop in his bat as his .389 batting clip with 4 HRs and 16 RBI attest. Jones also swings the bat well hitting .354 with 9 doubles and 16 RBI’s. Catonsville will be a sleeper in Baltimore County and 4A North. Forecast: A longtime assistant at the Mount, Kraska, a former Gael player, takes the reins of his alma mater after veteran Rod Cameron stepped down. Kraska brings youth, excitement and optimism to the Irvington school program that’s been down the last several seasons. Power-hitting catcher, Looney (4 homers in 2018) has “a plus arm and is a plus runner,” according to Kraska. Reese, a switch-hitter, has immense promise.